Handmade and handprinted with Eco inks. 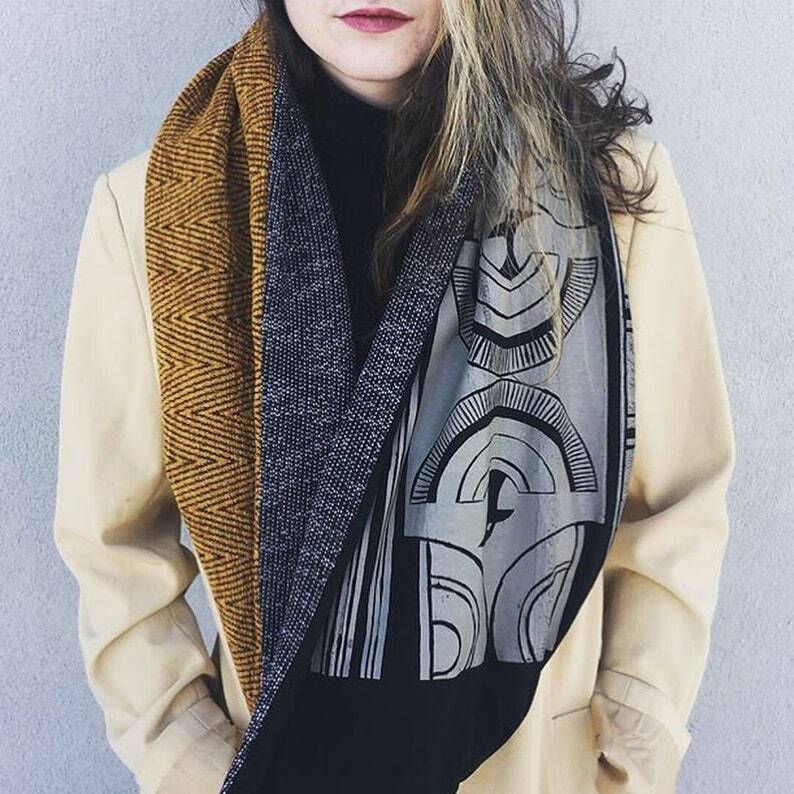 *Gold fabric and print stays the same but we use ever changing textiles for inside of scarf. Your scarf may have a slightly different shade than in photo.